Trailer for Japanese film Mohican Comes Home (モヒカン故郷に帰る, Mohican Kokyô ni Kaeru ). Directed and written by Shuichi Okita, it tells the story of rocker reconciling with his father who’s terminally ill. The movie is made in conjunction with the 70th anniversary of Tokyo Theatres Company. It stars Ryuhei Matsuda, Akira Emoto, Atsuko Maeda, Masako Motai and Yudai Chiba. Premiering in March 2016. Ekichi is a struggling punk rocker in Tokyo. He and his girlfriend returns home to a small town – for the first time in ages – to announce her pregnancy and their engagement. Osamu, Keichi’s father, appears angry but is secretly happy that he’s going to be a grandpa. The joy doesn’t last long though, as Osamu is soon diagnosed with last-stage cancer. Keichi decides to prolong his stay to look after his old man, and the two learn more about each other in process. Seems like a typical family drama film; Japanese are very good in this genre though. From the tone in the teaser the movie is probably on the light-comedic side instead of a sad melodrama. Atsuko Maeda, who plays the pregnant girlfriend, was formerly a central figure in popular girl group AKB48. Interested to see how she fares in her acting since graduating from the group in 2012. Trailer and promotional images for Japanese movie Lupin III, a live adaptation of a same-title manga series which was really huge in Japan. The film, scheduled to premiere on August 30, tells the story of a band of gentleman thieves. 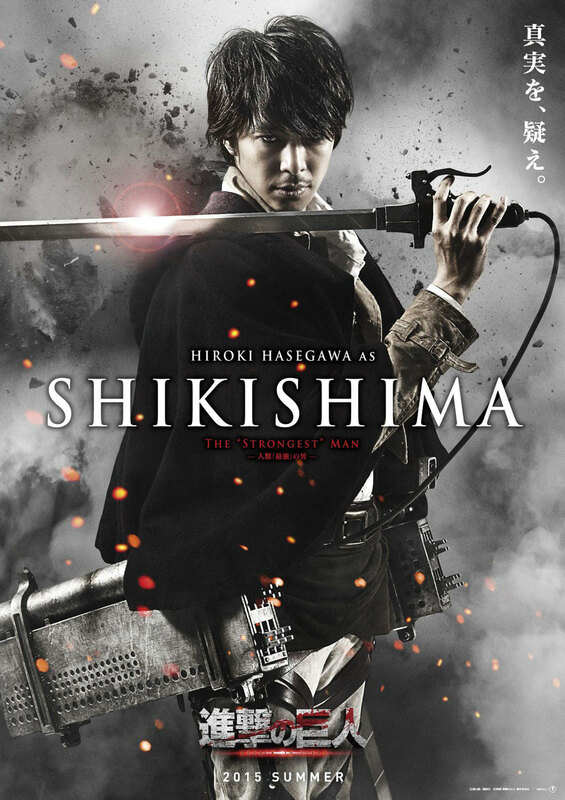 The main cast of the movie includes Shun Oguri, Tetsuji Tamayama, Gō Ayano, Meisa Kuroki and Tadanobu Asano etc. Trailer and promotional images for Japanese movie Rurouni Kenshin: Kyoto Inferno, sequel to the 2012 box office hit which is based on a popular Japanese manga. Trailer for Japanese movie Gift, starring Kenichi Endo and Rena Matsui. The later plays a bar hostess who’s running away from a secret past, then she met with a bad-tempered but successful businessman who proposed to pay her 100 million yen (~one million USD) for 100 hours of her time (it’s not as kinki as it may sound). Endo is a veteran who has starred in many dramas and films, mostly as supportive cast AFAIK. Meanwhile, this is the first leading role in a feature film for Matsui, who’s a member of SKE48, one of the girl groups under the popular AKB48 franchise. Trailer for Japanese movie FLARE, directed by Yuki Otsuka and starred Mayuko Fukuda, Valentin Bonhomme and Alice Hirose etc. The film tells the story of Flare, a Japanese girl with a troubled childhood who found direction in life after crossing path with a French photographer who works in Japan, and also a lesbian she met at a probation centre. Mayuko Fukuda, the leading lady, was a popular child/teen actress who has starred in dozens of dramas and movies. She’s turning 20 this year.